We are committed to maintaining the identity of our clean, healthy sugarcane when we distill it into cachaça. We process it minimally, according to traditional methods and using human hands, in tiny batches (130 liters each), and we use no chemicals to grow our cane (hence the USDA organic certification). In the end, you should be able to taste the rainforest in our cachaças. Against a backdrop of Marumbi Mountain, our zero-waste distillery building is built into the slope of a hill so that liquids can flow from room to room by gravity instead of motorized pumps. 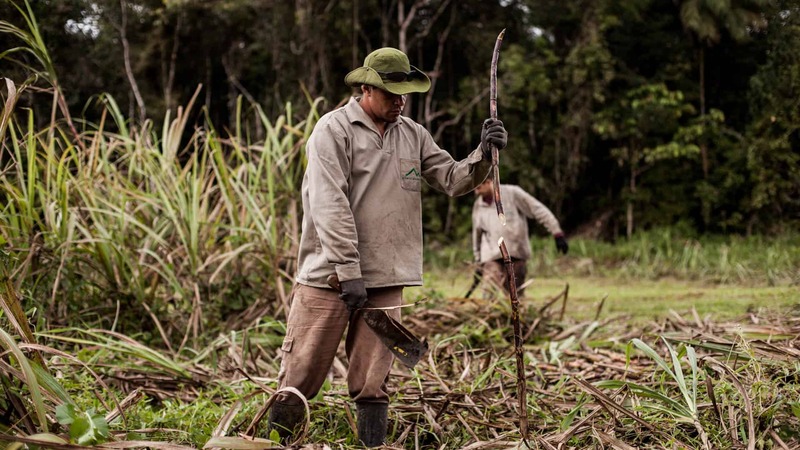 We grow our sugarcane organically, without the use of chemical herbicides, pesticides, or fertilizers, which would make our job easier but would be detrimental our fragile rainforest ecosystem (including to our people!). Instead of using machines or burning the fields prior to harvest, we rely on the capable hands of a small field team that cuts the cane with machetes. 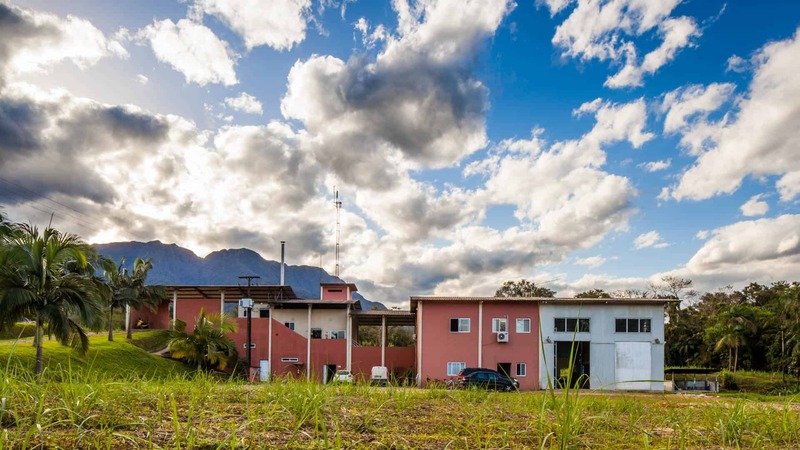 To ensure freshness, our cane is immediately transported to the nearby distillery building within hours to be pressed. Ozeias leads the team of field workers and has worked for the distillery since the year it opened in 2004. He is an expert with a machete. We squeeze the juice from the cane, a few stalks at a time. This juice contains about 15% sugar, so it’s sweet, vegetal, and slightly savory. The dried up sugarcane pulp is our first byproduct, but we don’t throw it away: it’s called bagaço, and we use it as fuel for the fire that makes steam for the still and also as natural compost to fertilize the fields. 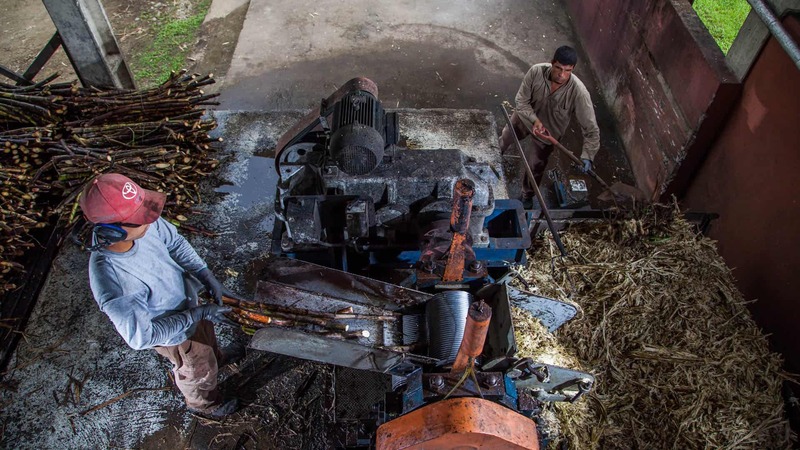 Sandro feeds sugarcane into the press while Ozeias removes the spent bagaço to recycle as fuel. Once the sugarcane juice has been filtered, we add wild yeast cultivated from our own cane. During fermentation, the yeasts convert sugars into alcohol in less than 24 hours, producing a wine of approximately 7%-9% ABV. Bruna stirs the fermentation tank. 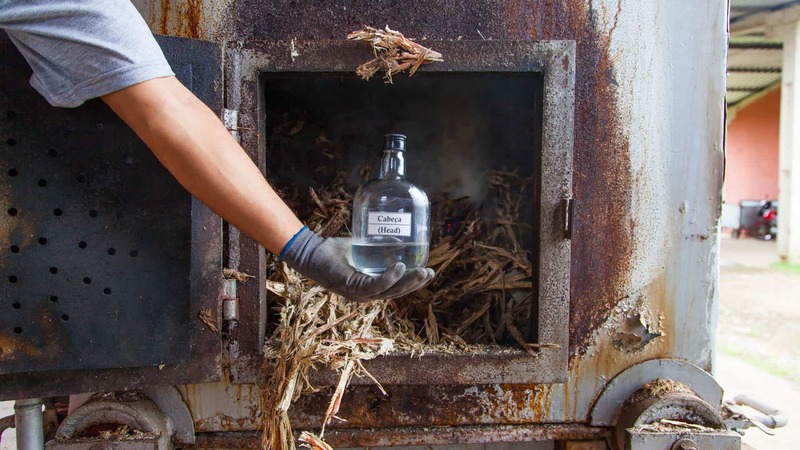 Using steam from a bagasse-burning furnace, we heat the sugarcane wine in our copper pot still. The alcohol in that mixture evaporates before water and other organic compounds, and these vapors are condensed back into liquid alcohol. We capture the best part of that liquid (the “heart”) and recycle the rest of the distillate (the “heads” and “tails”) to use as fuel, fire starter, and cleaner. 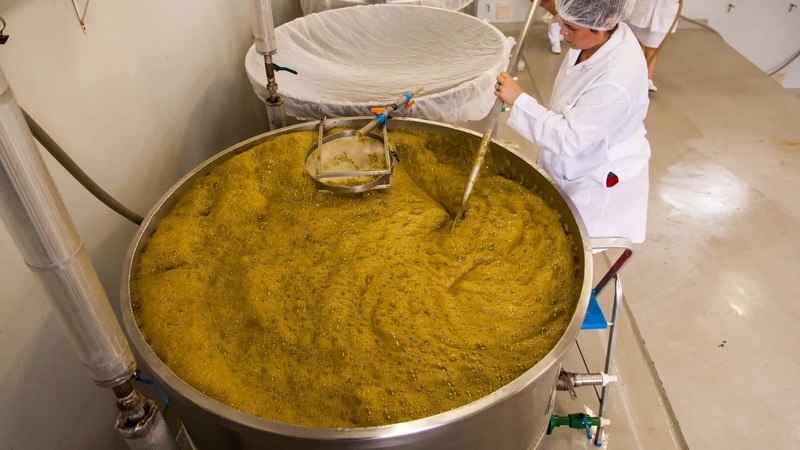 Each 1,200 batch of sugarcane wine yields just 130 liters of drinkable cachaça, about 11% of the total volume. 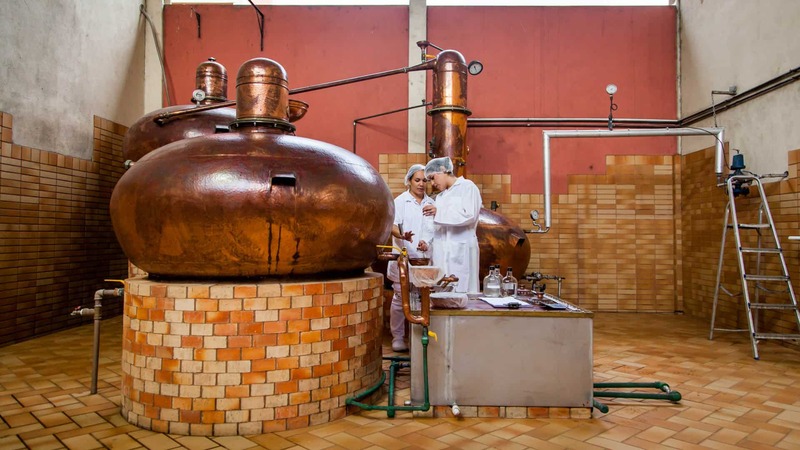 Gisele and Bruna check the alcohol content of the distillate. 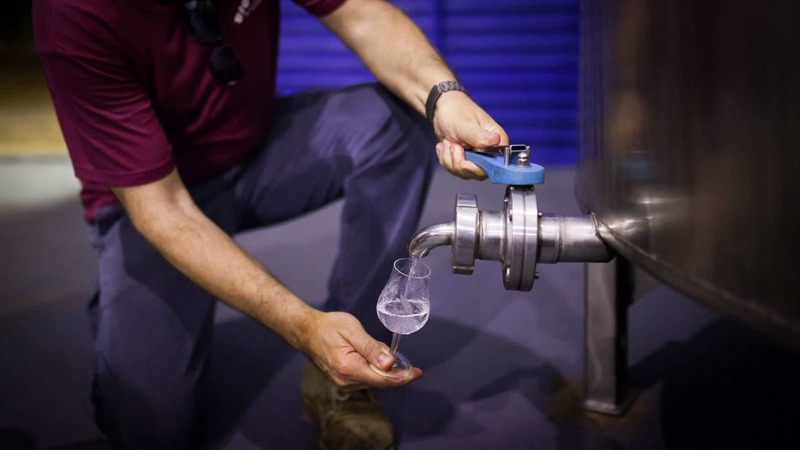 Master Distiller Agenor pours a sample of silver cachaça from a resting tank. 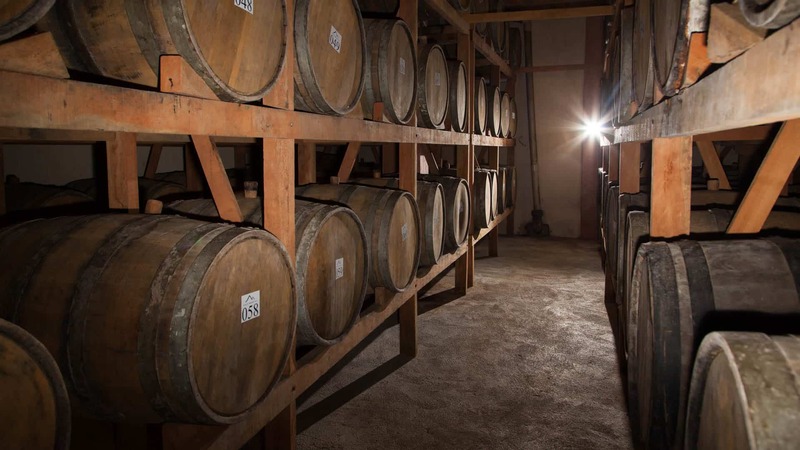 In the Brazilian south, the vast majority of cachaças are barrel-aged in American oak. In that tradition, we age our organic cachaça in repurposed American oak barrels that once held Four Roses or Heaven Hill bourbon, before being sanded and re-toasted. Despite what many say upon their first sip, our barrel-aged cachaças don’t taste like bourbon, they taste like American oak — it just so happens that bourbon tastes like American oak, too. For our Two-Woods series of cachaças finished in indigenous Brazilian wood barrels, we are committed to using only legally-sourced woods. Where the magic happens: the interior of one of our adegas, or aging rooms. We may be a small-batch producer, but we believe that what goes around comes around. We do our part by recycling all the byproducts from the cachaça-making process, which reduces our impact on the earth. Taking the ecological high road might not be the easiest route for producing spirits, but we’re in it for the long haul. It’s better for our community, for the environment, and for the cachaça in your glass. Undrinkable “heads” from the distillate are great fire-starter for our bagaço-burning furnace.